Hi, is it possible to move an existing XFMG-album to a group? Yes. it's possible for that. Can someone else please explain what the real world use of "Promote to user groups" does. I am a bit confused about its purpose. When user are promoted to another roles which user will gain extra user groups base on that roles. 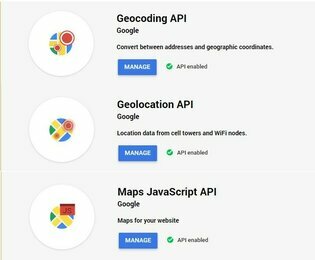 I have used Google Maps before and have my APIs setup and assigned to be able to be used by my registered URL. But, here is the problem. 1. When creating an event, the maps appear to work fine. 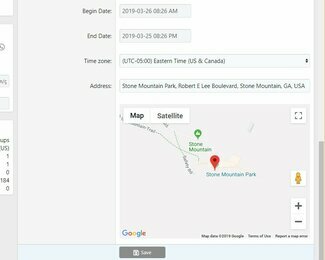 I can enter an address the map shows up properly and all looks good. 2. 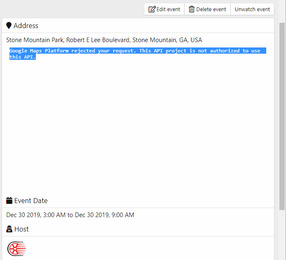 After saving the event, the "Address" section on the event once expanded says this instead of showing a map: "
Google Maps Platform rejected your request. This API project is not authorized to use this API." But, when you go to VIEW the event that was created, you get the error in the first post of this thread. Ok, have a fix. I had to enable a few additional APIs beyond what was listed above. Although I was already set up with it, you will need to establish billing to support maps. This was a change a few months back, HOWEVER, they do give you $200/month free. I am NOWHERE near that much currently, so it is free so far. Is there a way to adjust the date format for the events listing? Currently it is set to DD/MM, would be nice to have the ability to flip that or even add the year. ["cli"] => string(25) "cmd.php xf-rebuild:search"
"Minutę temu" means "a minute ago"
Yup. Found the group contains which invalid tags. Not sure how it's happen. How would I assign a member role to someone who joins a public group automatically? I must have a setting wrong...as when a registered user joins a group they have NO role at all assigned. It is blank. I can promote to a role, but I'd rather it just assign the member role upon joining the public group. Latest Social Groups for XF 1.5? i am using Social Groups Version 2.7.8 for XF 1.5 - How can i get the older versions for XF 1.5? There is noy buy button anymore, and my license isnt active any more. If i look into my purchased ressources, there is "Social Groups (XenForo 2.x.x)", but i bought in the past the old Version for XF 1.5. Do i get all the old versions for XF1 if i buy/renew your Social Groups for XF2? I am planning to update to XF 2.0, also your Add-On. I think, it will be the best, if i install the latest version to upgrade to XF2. And i need the old versions, to make a step by step update to the latest "Social Group" Plugin, before upgrading to XF2. 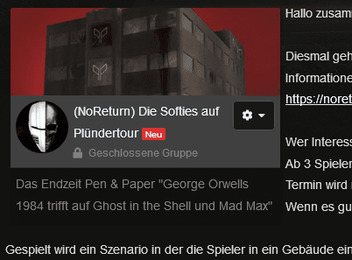 On this page, there is noy buy/download button anymore. Please help, can you explain me, how i get/buy all of the old versions for XF1 to update manually step by step? It seems they are not available anymore, and i need them to upgrade. I can extend the old license version when you buy the version for XF2. Then you can upgrade it. Bought your plugin for XF2 and tried to make a direct upgrade from version 2.7.8, seems to work fine, without upgrading the old versions. I'd like to have the BBCode centered but that didn't work. I'm sorry, but I'm not following you right now. And I have thought about something else so that the text is around the preview. Unfortunately "Strike-through" had to abuse for it. and that my groups home page no longer shows more than three group members on the group card.... I also do not see the option to say how many members to show...? I did. Perhaps the errors were thrown during the upgrade? I am running TL Social Groups 2.0.2. I have played in the Groups today and do not see any additional errors being thrown. However, there is still the challenge with the main Groups page not showing the correct amount of group member avatars on the group card. Also, can you please tell us when we select to integrate XFMG with Social Groups; how it is integrating? What functionality, etc., please? What is your number expected? It's controlled through add-on option. It's allow group members can create album into group. Well for example one group has 5 members but only 3 show on the main card. I did not see the option to choose how many to show. Where might I be missing it at? Style properties or add-on options? chernabog You may see this option Maximum members in group card in the add-on options. truonglv I am working through it to see what I can figure out. Doing this did bring to my attention that somehow all my member roles within the groups lost their data (name, description, etc.) which was odd. I am going to wait and see if new groups have the same member display issues on their homepage card. I am hoping the error codes can help us to figure out what is going on?? In the meantime, I will turn off the integration with Groups. I don't know how this error occurs, but I hope the info helps you to find the error. That seem on old alerts. You may run there queries to remove it. then I'm gonna watch this a little bit more.